Opaque violet color. Fruity, spicy, herbal aromas and flavors of savory herbs and flowers, pickled citrus peels, and spiced berries with a satiny, vibrant, fruity medium-to-full body and a smooth, complex, long finish evoking elements of dried cherries and blueberries, cedar, leather, and earth with chewy, fine tannins and moderate oak flavor. A bold, spicy, herbal red blend with nice pairing and cellaring possibilities. 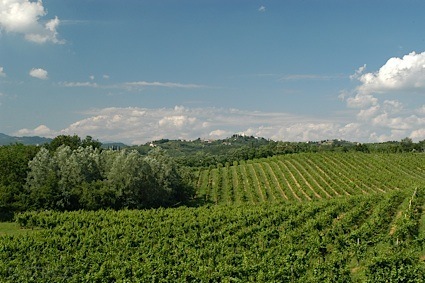 Bottom Line: A bold, spicy, herbal red blend with nice pairing and cellaring possibilities. 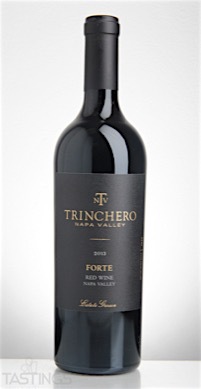 Trinchero 2013 Forte Red Blend, Napa Valley rating was calculated by tastings.com to be 94 points out of 100 on 11/14/2016. Please note that MSRP may have changed since the date of our review.